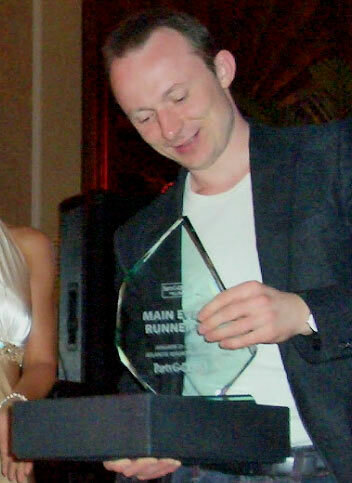 GammonLife interviews Lasse Hjorth Madsen of Denmark, the Runner-Up in the PartyGammon Million Backgammon Tournament organized by Stephen Pearson of Player International. The historic event took place in January 2007 at the Atlantis Resort in The Bahamas. Michael Strato - Hi Lasse, thank you for accepting to be interviewed by GammonLife. 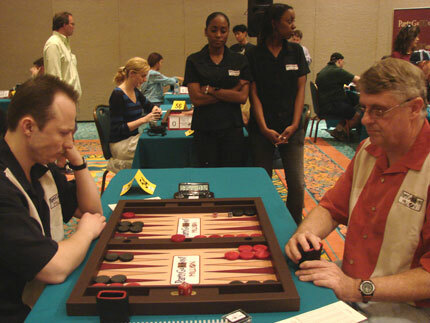 Could you please tell us a little bit about yourself and when and how you began playing backgammon? Lasse Hjorth Madsen - Okay, Michael, I’m from Denmark, 36 years old, I work and live in the capital of Copenhagen, with my small family: my girlfriend and our 10-month-old son. Currently I’m between jobs, but I mostly work in market research, latest as a senior research executive at TNS Gallup – a large international research company. I learned the game of backgammon in the late 1980’s, when there was a big nationwide tournament going on in Denmark. I quickly became interested in the game, sensing that the seemingly simple racing game contained a world of complexities and strategies that I would like to understand better. I don’t consider myself an expert backgammon player; however, I would need both more talent and more study to reach a truly expert level. Michael Strato - Congratulations on taking second place at the PartyGammon Million tournament organized by Player International! You qualified online for this event, how much did he cost you total, to win the package to Atlantis? Lasse Hjorth Madsen - I don’t know the exact figure, but it wasn’t that much. I think I paid around $500 in entry fees at the $35 level before I managed to qualify. Michael Strato - What are your impressions on the venue, the tournament structure and the amazing cast of players that took part in this event? Lasse Hjorth Madsen - The tournament was just about the best organized tournament that I ever attended (not that I attended that many, but anyway). The knockout format with optional bye back, Consolation and no Last Chance was simple, easy to understand, and worked out really well. Perhaps some players would have liked more side events, I don’t know - since it went well for me in the main event, I had plenty of action. The field was of course very tough, plenty of strong, well-known players, but I guess also among the lesser known players there were some very good ones. Which of those matches were the hardest to get through and why? All of the matches were tough. Several went to double match point, including the first one against John O’Hagan, which came down to a pure two-roll bear off at double match point (with me on roll). And of course the final was also decided at double match point after a long struggle. 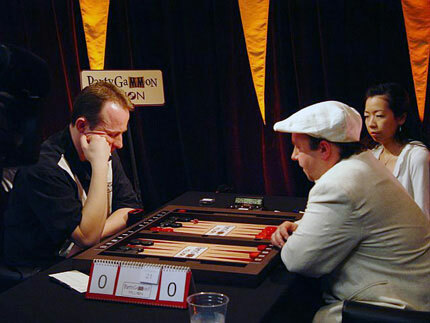 Lasse versus John O'Hagan in Round 1. Lasse in the semi-final against Nack Ballard, #1 Giant. Against Peter Heitmüller, I redoubled for the match as a clear underdog, with not much more that a single direct winning shot, when he needed 3 points to win and I needed 4 (as I recall). That was a tough decision, probably very marginal. Against Mikael Sandberg and Leo Fernandez, I had all the good dice, so those were less tense, but still no walk in the park. With so much money at stake, was it always serious between you and the players - like no talk, just play - or were some more open to conversation like John O'Hagan, who is a fellow GammOnLine poster, or Sander Lylloff, a fellow countryman? What did you guys talks about when playing? We didn’t talk much in any of the matches. While playing, I’m usually not much of a talker, no matter if money is at stake. A little casual small talk was mostly it. With Sander, we actually talked a bit about a few plays. He questioned a checker play that I made, probably rightfully so; I regret that I didn’t write down the position. Afterwards, he shared a bit of analyses on a couple of other decisions. The same with Leo Fernandez – he reconstructed part of a key game from our match. How about some of the feelings and thoughts you experienced as each round went by and you advanced closer to the final? It sure was exciting. The big one, of course, was the round of 16, the money round, when I got an actual tournament result. But my goal was pretty modest, I just hoped to win more matches than I lost, anything better than that, I considered a pleasant bonus. Michael Strato - Did you do anything special each day, at the end of the day or start of the following day, to stay focused and prepare for the next match or matches? Lasse Hjorth Madsen - I just tried to relax, eat and drink properly, read a little, to have a nice time so at least I would get a holiday out of it. Spare time is precious when you have a small child at home. For me it was a big luxury to spend an hour by the pool with a book in the late afternoon. The one thing I didn’t want to do, was to play more backgammon or study positions. Michael Strato - Which do you remember as one or two of the most difficult position problems you encountered in the tournament? Note to Readers: Lasse encloses part of his match vs. Leo Fernandez which you can open and refer to for his comments below, in a separate PDF window by clicking here. Lasse Hjorth Madsen - The redouble when leading 1-0 to 17 against Leo Fernandez was tough. I knew there was a big chance that I had to leave a direct or multiple indirect shots when his board was strong. Still, I was a good favorite and had a few crushing sequences. When I attack and he fails to hit back, that’s huge market losers. Lots of volatility, it’s easy to believe it’s a double when you consider it afterwards, a lot harder to double over the board. GNU backgammon seems to think it’s only a small double. I haven’t rolled it out. Also the 4-3, I had to play two rolls later was hard. Under pressure, there’s a tendency to play too safe. In the actual position that would mean 6/2 5/2 which is much too ugly for words. Much better to get it over with while putting two men on the roof with 6/3 5/1*. An easy move to find during analysis, but not always so easy to leave a voluntary shot over the board in an important match. Michael Strato - The final was very exciting, after trailing you came back to DMP. You and Andreas Martens both played between 4 and 5, virtually a World Class level, according to what I have studied on the final match. What were your thoughts and feelings on the final? Lasse Hjorth Madsen - The final was hard. It’s always discouraging to lose a long series of games. I tried my best to remain calm, look out for possibilities to catch up, to play my best game. It was played outside, at the balcony, which was nice in the beginning, but after a while the sun and the noise from the splashing water below, became tiring, and it was hard to stay focused. If I played with a Snowie error rate below 5, I’m quite happy, my game simply isn’t better than that. Lasse in the final against Andreas Martens. 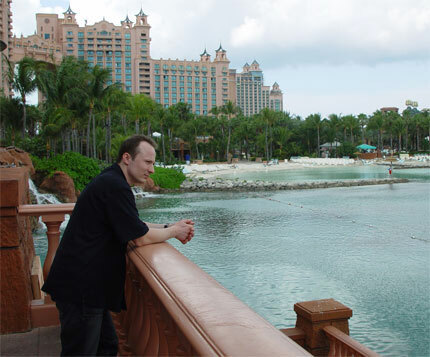 A pensive Lasse on the Dragon's Patio at the magnificent Atlantis Resort. 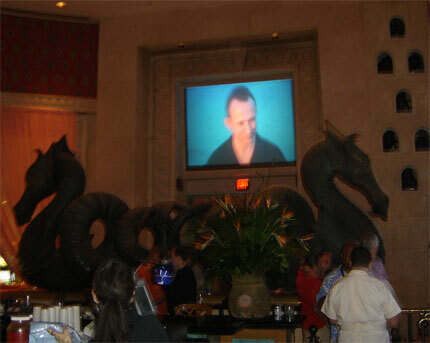 Lasse on the big screen in the Dragons Bar at Atlantis. Michael Strato - You won $140,000 and possibly more if you hedged. How do you feel about that and what will you do with the money? Lasse Hjorth Madsen - The short story about the money is that I didn’t get away with such big a prize after various agreements were settled. But I never played backgammon for the sake of money and generally try not to care too much about money. I don’t plan to change that. Lasse is all smiles as he receives his trophy for second place - a real fine gentleman and a truly great player. Michael Strato - Do you intend to get out more on the international pro backgammon circuit in the future? Lasse Hjorth Madsen - No, I don’t plan to join the international pro backgammon circuit. As mentioned, I don’t consider myself an expert at backgammon, and I don’t have the time to change that. Anyway, the money is not what interests me most about the game. Michael Strato - Thank you Lasse. GammonLife.com wishes you the best of luck in life and the game. Lasse Hjorth Madsen - Thanks for a great site, Michael, and thanks to Stephen Pearson of Player International for organizing a fabulous event.